While the big news this week is of course the 24-hour run, there has been so much more happening. The primary students have completed the MAP tests and the MYP are working their way through them. We have the start of PYP class trips in P6 and the planning for the first MYP IDU trip next week. I was happy to see the large number of students out this past weekend for the football and basketball, it was like a practice for the Sports Weekend coming November 23rd. Our PYP athletes were not left out as they traveled to Kennedy House for a swimming competition. We have also had peace and friendly competition this week. 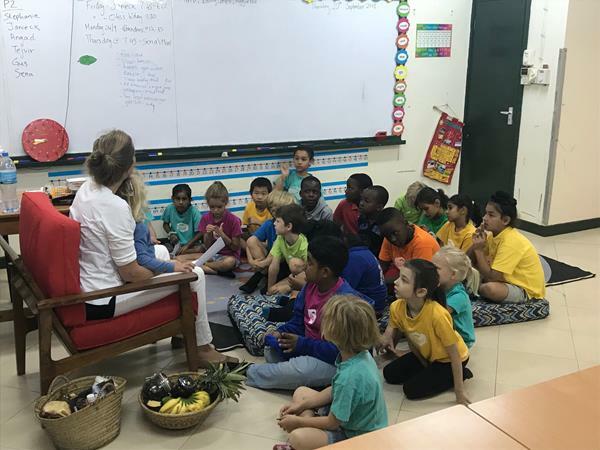 On Monday, we had students from PYP through DP sharing ideas and thoughts on Peace and on Wednesday we had the kickoff of this year’s house competition. I was proud to see in both the house competition and the sports that our students showed enthusiasm and support for each other while displaying great sportsmanship and respect. I will be sending out a special newsletter for the 24-Hour Run, but let me say thank you to everyone that is making this possible. As stated in our ISM Beliefs, education in a global context promotes an appreciation and understanding of multiple perspectives and interdependence of individuals, societies and environments. Ultimately, as a school, we want to foster and promote the notion of peace. Monday’s assembly was the perfect reminder of the importance of peace in our daily interactions. 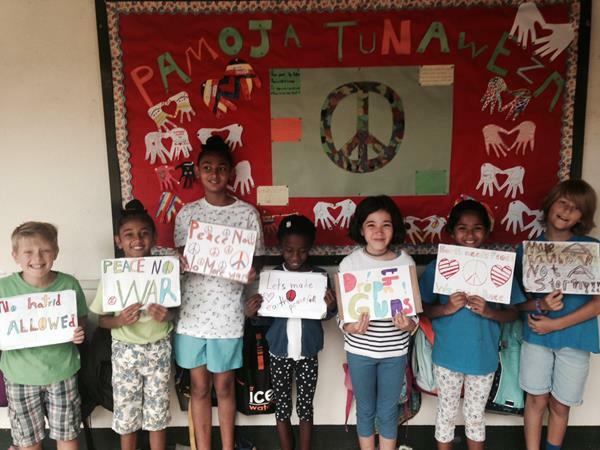 We heard from students across the school on how they are working hard to build a more peaceful world every day. 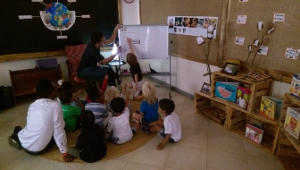 From resolving conflicts in the playground using innovative ideas, such as The Peace Tray, to promoting peaceful resolutions to real life problems in our local community with the Sparkling Elephant Project, we are all peacebuilders. We were also introduced to the Sustainable Development Goals of the United Nations. The UN Member States adopted these ideals in 2015 because they understood that it would not be possible to build a peaceful world if steps were not taken to achieve economic and social development for all people everywhere. The Sustainable Development Goals cover a broad range of issues, including poverty, hunger, health, education, climate change, gender equality, water, sanitation, energy, environment and social justice. Sustainable Development Goal 16, “Peace, Justice and Strong Institutions,” calls for promoting peaceful and inclusive societies, providing access to justice for all and building effective, accountable and inclusive institutions at all levels. A peaceful society is one where there is justice and equality for everyone. A peaceful school is where everyone feels safe, valued and respected. Where everyone has a voice and where that voice is heard. The M5 students now have their PP supervisors. They are encouraged to book appointments for next week with their supervisors. Students already have supporting materials to help them in this process. The M5 students have already been issued with registration forms for their final examinations in May 2019. Parents are requested to ensure that students register using their official names as per birth certificates/passports. All the MYP classes have a dedicated service activity that they must engage in for the whole of this academic year. These activities are compulsory for all students. Next week the M2 class will be “Off to the coast” from the 24th to the 27th of September for an interdisciplinary study on the coasts, combining Individuals and Societies and Math knowledge and skills. The whole group will collaborate with students from the Arusha campus to work at ISM’s coastal field studies center at Pangani. Our major boarding event of this weekend is the 24-hour run. Some of the students will be involved in sports in Arusha as well this weekend. As we come to the end of the quarter, it is important to remember that this can be a busy time for students, particularly the D2 students. Phone calls to even say hi are appreciated. We shall break from school on Friday 5th October, and boarders can leave the same day. Boarders will return to school on Sunday, 21st October for quarter 2. Kindly share with us the transport details for your child as soon as possible so we can plan accordingly. As a reminder, the school provides free transport to and from Kilimanjaro International Airport on the scheduled closing and opening days. On other days the school will charge $60 one way. We are not able to provide transport to Arusha Airport. Thank you to everyone that sent us the Parent Consent and Health forms. These forms are filled annually, and your cooperation in this is helpful. Kindly access these forms from our website and email them to us. I would like to start of by thanking all the community members, coaches, PE support staff and referees for helping to make a successful tournament last weekend. There were students involved in sports all over campus, smiling and being active. 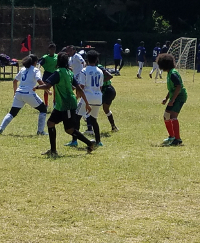 ISM had a mixed day on the courts and fields with the U19 boys soccer having a strong win and a draw, U19 girls soccer drawing a game and being narrowly defeated by 1 goal in another. 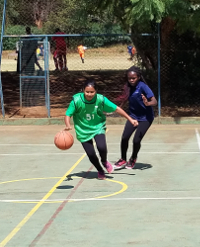 The U15 basketball boys had a fantastic game against Orkeeswa, being narrowly pipped at the post 23 to 22 and the U15 girls (most of which are U13) never gave up and fought all the way to the end of their games, if they continue to show such resilience, in 2 years when they are the same age and height as the competition they will dominate. This weekend sees a huge increase in exercise in the community with ISM holding the 24hr run, nearly everyone in the community committed to taking part and hopefully we will raise enough money to provide an IB education to more Tanzanians. 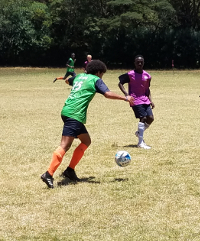 The U19, U13 soccer and the U15 basketball all going to Arusha to compete on Saturday and we wish them the best of luck as there are some must win games for all teams. 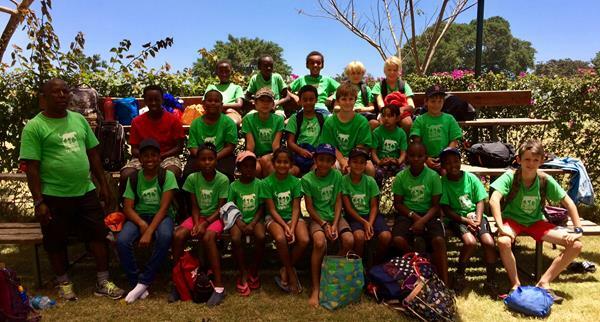 Last Saturday morning the Primary Swim Squad and the M1 swimmers from the Varsity Swim Squad took part in a swimming gala/clinic at Kennedy House School. The swimmers were judged on their starts, strokes, turns and finishes. No points or medals were allocated as it was a ‘warm up’ round to see where the children (and their coaches) stand before the official NTAA galas/meets start. They were accompanied by Coach Sabini and Mrs Deborah Mills aka Miss Debbie with some parents shouting them on – a big ‘thank you’ to them all for giving up their time to support the swimmers! There were some exciting races so it was very competitive. Our swimming teams have grown quite considerably with approx. 17 Primary swimmers and 14 Varsity swimmers to date. For those who have not yet paid the lifeguard fees, please kindly do so. The annual fees for Primary swimmers is $40 and, for Varsity swimmers, $120. If you have any questions or queries about the program, please do not hesitate to contact me – Debbie Bachmann: ismoshiswimming@gmail.com. 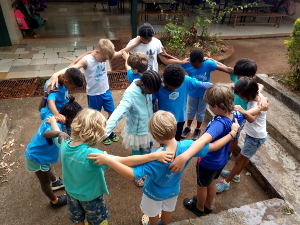 World Peace Day and UWC Day has been marked in many great ways at ISM. 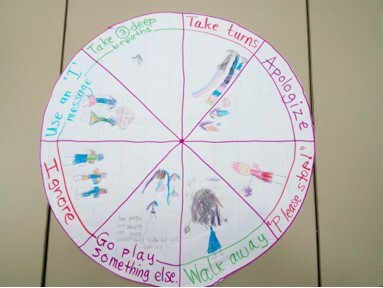 We have heard students talking about using “Peace trays” and many different ways they resolve conflict around them. It was also heartwarming to see the video showing the steps we have moved ahead in our journey towards becoming a UWC. Clubs: Quarter 1 is almost coming to an end. The last day of clubs this quarter is Tuesday 2nd October. If any parent would like to offer a club in the coming quarter, kindly send me an email by Thursday 27th Sept.
Goal Setting Conferences: The conferences are scheduled for Thursday 4th October. More information and sign up sheets will be sent to you in the coming week. This week saw the start of the revamped inter house competition with the M1-M4 and M5-D2 Touch rugby tournaments and can I just say what fantastic support there was for the teams. Great house spirit. Below is a table of points allocations for events for your information so you know how many points will be allocated for different events. A big thank you to Ms O’Brien for volunteering her lunch to referee. M1-M4 was very tight with all houses winning 1 game each, however when it came down to for and against points there was a clear winner with Mawenzi scoring 3 times as many points as the other houses. M5 – D2 there was a clear winner here with Kibo winning both of their games. Meru and Mawenzi finished in a draw however on for and against Mawenzi out scored Meru giving them 2nd place. If you visit our EC classroom you’ll find some changes to our lighting. We’re making use of more gentle and natural light to bring a calm and magical atmosphere into our daily learning. The children have responded very well and are excited about the changes. Here are some of their responses. Thank you for your family pictures, we now have a little gallery. Thank you also for your donations of plants for our growing garden area. Next Thursday we plan a short trip to the river a few kilometres from school to collect rocks for our garden path and have a little picnic. The school day will be as normal and I will let you know about what to wear soon. Please let me know if you would like to come along… we can make it a family outing. Our wheel of choice is now complete and we have all been working on visiting it when we feel upset. Garvin gave us the idea of putting it up on our wall outside the class so that we could use it all year round. Once we have it up, please feel free to come and talk to each of us about it and use some of the strategies we agreed upon, at home. This week, we also looked at how friendly we have become. We looked at certain criteria such as how we share toys, give compliments, listen to each other and how many people we are able to play with. We are all generally happy that we have become friendlier. Next week, we will be working on our summative assessment which will prove to be very engaging and fun. We will share our work with you once we are done. Thank you for helping us work on our word problems at home. We are becoming more independent at solving them. One of our favourite activities this week was learning about the consequences of having an unhealthy lifestyle, and exploring with the 3D biodigital human to see the physiological impacts that take place inside the body, and to the organs, when we are unhealthy. P 2/3 would like to thank Mama Sena for coming in on Thursday morning and talking to the students about good and bad fats and sugars. A reminder to parents that if your child is not swimming on Wednesday, please send in an email or note informing us. Thank you to all the people within our community who helped the P4s get information about our community during this unit. In the coming week, students will be busy working on their Summative Assessments where they will incorporate the knowledge and skills they gathered to make booklets, movies, information chains or posters. We have started looking at fractions and multiplication tables. In the coming week we will look at the concept of fractions and solve word problems. “What do we want? Peace! When do we want it? NOW!” We had a great time protesting for Peace on Monday and the children did an excellent job introducing the Peace Tray to the school. On Friday, during our Peace Party we shared songs that we found at home about Peace, read our peace poetry and shared some songs about peace that were written during Writer’s Workshop. The students continued getting their presentations ready for our current unit on Rights and Responsibilities. We will share them at the end of next week. If anyone else wants to come in and share their experience with protesting or rights, please let me know. It would be great to get some more parents to share their knowledge. A reminder to send your child to school with a hat and water bottle. There are a few that are missing one or the other. P6 have had a very exciting week. The children have made fraction kits and have played different games to consolidate their understanding of equivalent fractions. These games will be coming home for homework next week. 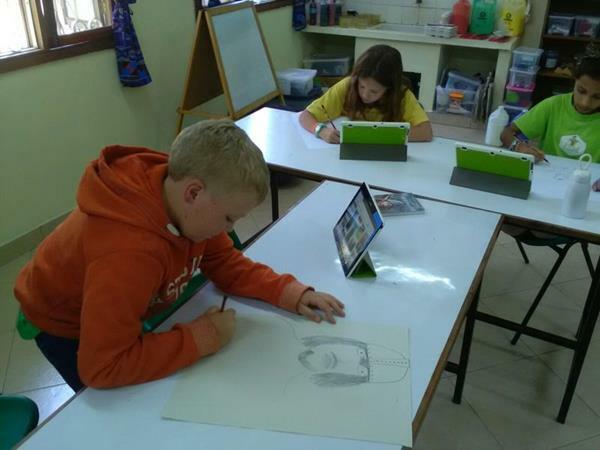 The children have continued with their research into their chosen explorers and have started to paint a portrait of him/her. Each child has a display space in the classroom where they are gathering their work (maps, timelines, writing etc.) in preparation for sharing it with you at the end of this Unit of Inquiry. 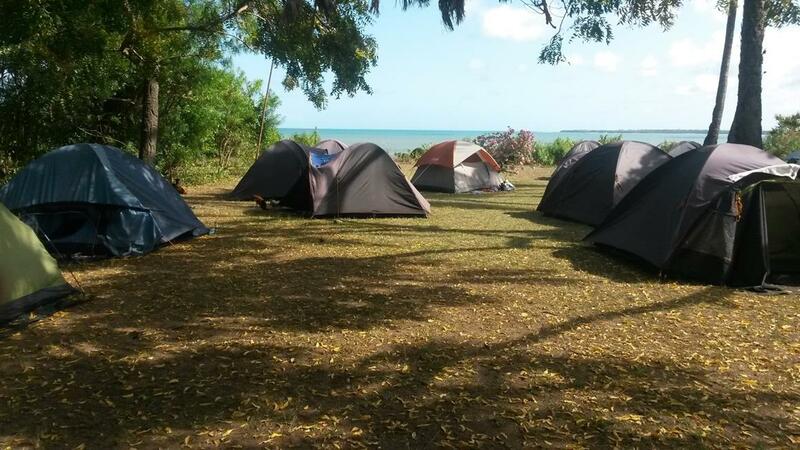 The highlight of the week was anticipating our camp. As I write we are getting ready to depart for Usa River. The children will visit a coffee farm and see how coffee is processed in a factory. We hope to learn a lot and also to enjoy getting to know our P5/6 counterparts from ISMAC. News and photos will follow next week.